Have you ever thought about how many volunteers you lose because of ineffective meetings? Meetings which are long, boring and accomplish little. You can change that dynamic by training your staff and volunteers on how to facilitate and prepare for meetings of all types. “The mind can absorb only what the posterior can endure” should be the motto every meeting facilitator. 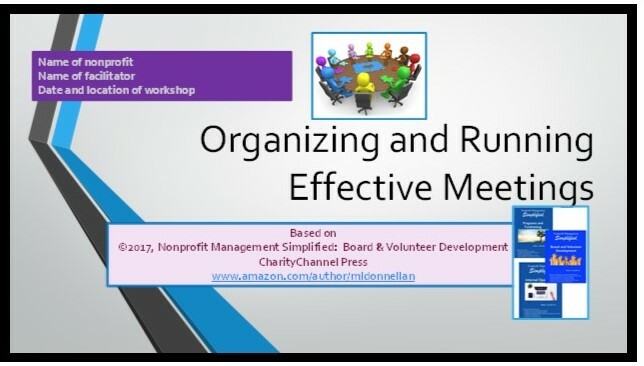 Unfortunately, too many volunteers becoming disgusted with poorly run, disorganized and ineffective meetings and lose interest, refusing to participate. This training module is ideal for training staff, boards, committees and anyone involved in meetings (whether participant or facilitator). 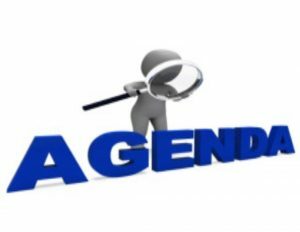 The PowerPoint, instructor notes, agenda and handouts provide practical tips on developing job descriptions, agendas and preparing for effective meetings. 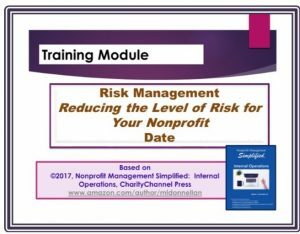 The downloadable files are easy to use and great for consultants, associations of nonprofits, or anyone doing nonprofit training. 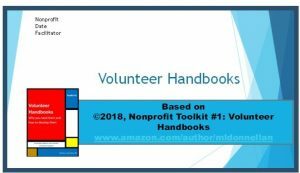 This is a companion to the book Nonprofit Management Simplified: Board and Volunteer Development.